To celebrate our success since opening in Arnold, Walton&Allen are holding an opening evening and you’re welcome to come and join us. Pop into our branch in Arnold on the 3rd of August for a glass of fizz, some nibbles and a friendly chat. Our team will be on hand to answer all questions on lettings and sales and to offer some property advice. As our statistics show, we’re able to sell our properties faster than any other Estate Agent and at the best price possible. We’ll beat any other Estate Agents’ fees you have been offered with a zero week contract. If you’d like to know more, one of our team will be on hand to answer your questions. We charge no setup fees or hidden extras, just a monthly management fee. Talk to a member of our lettings team over a glass of bubbly and they’ll be all too happy to fill you in on the details. 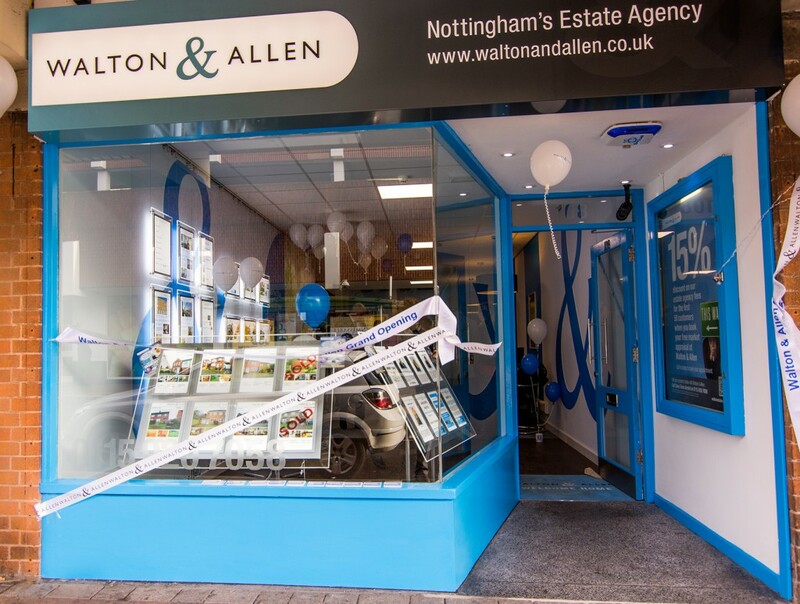 The Walton&Allen open evening is on the 3rd of August from 5.30 to 7.30 at our Arnold Branch. Pop in and say hi – we’d love to see you!